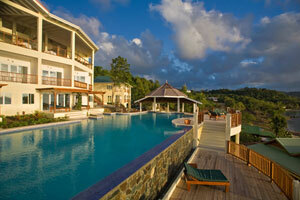 A Saint Lucia vacation package will rejuvenate your spirit. 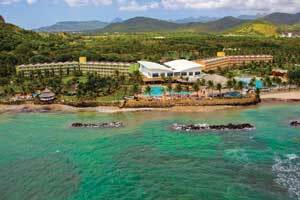 This Caribbean island offers world-class hotels, including many popular all-inclusive resorts and breathtaking scenery. Honeymooners can bask in Saint Lucia’s quiet romance while families can enjoy an abundance of land and water activities. Everyone will love the traditional French Creole cuisine and the colonial French ambience of this stunning island paradise. No vacation to Saint Lucia would be complete without exploring the island’s natural beauty. Hike through tropical rainforests; climb the Pitons, the distinctive twin volcanic peaks to the south; or go biking and birding in one of the many nature reserves. Music lovers can schedule their trip around the International Saint Lucia Jazz Festival each May. There is truly something for everyone in Saint Lucia — romantic escapes, golfing getaways, nature hikes and water sports of all kinds, including superb diving and snorkeling. From lively cafes, golden-sand beaches, amazing natural sites and, of course, shopping! 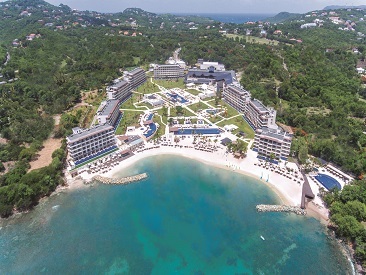 Hideaway at Royalton Saint Lucia is an all-inclusive hotel within the Royalton Resort on the pristine beaches of Saint Lucia. 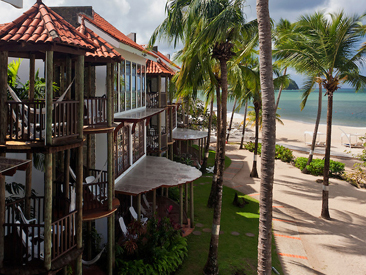 This hotel offers breathtaking views of the beautiful ocean just beyond the lush green coastline of the private cove. Hideaway is a prestigious brand of Royalton Luxury Resorts, created for discerning adult travelers who desire a next-level All-In Luxury® experience. The resort caters to families, couples and honeymooners alike with the perfect location, two separate areas for adults and families and endless activities including water sports, Kei Mer Spa, Kidz Klub and waterpark and great dining options. Located just a short 5 min. drive from UVF; and an hour from SLU. 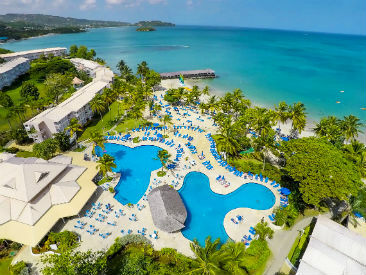 Escape to the beachfront all-inclusive St. James's Club Morgan Bay, Saint Lucia with its casual, active atmosphere for singles, couples and families along a stunning stretch of tan and black volcanic sand beach, only 3 miles from Castries. Located 1hr. from UVF; 15mins. from SLU. 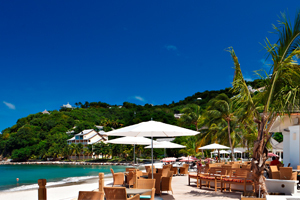 Set on the lush tropical Caribbean island of Saint Lucia, Royalton Saint Lucia is an ideal vacation destination. The golden sands on the resort's private cove give you front row seats to some of the best sunsets in the Caribbean. Calabash Cove Resort and Spa is a quiet boutique resort located on Saint Lucia's northwest coast catering to couples looking for a romantic and relaxing escape with luxurious accommodations, a spectacular infinity pool and world-class spa. Located 90 mins. from UVF and 12 mins. from SLU . Rendezvous Resort creates an intimate setting for couples seeking a romantic getaway to paradise. Delicious cuisine, relaxing amenities, a lazy river pool, wading pools, a lush tropical garden, miles of white sand beaches and a brand new spa are just a few of the luxuries offered, making it easy to find the perfect spot for a getaway with your loved one. 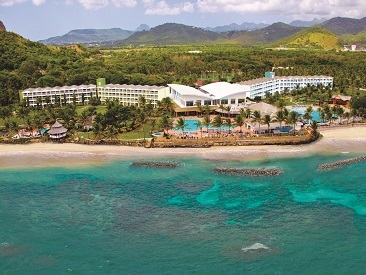 Serenity at Coconut Bay Beach Resort & Spa is an all-inclusive, adults-only resort located on the beautiful island of Saint Lucia. Designed specifically for couples looking to relax in a luxury hideaway, Serenity at Coconut Bay is an adults-only section within Coconut Bay that offers 36 spacious plunge pool suites, each with butler service, 24-hour room service, personalized bar and extravagant amenities, as well as all restaurants and facilities within Coconut Bay.